Along the Santa’s Road to North Cape from Rovaniemi there are a some diamonds outside the main road. One of the topics Angelo and I wanted to cover was churches. In the Nordic countries the churches are for the most part Lutheran. The closer you get to the Russian border the closer you get to Orthodox churches. In Nellim, some 10 km from the Russian border there is a fairly new orthodox church. 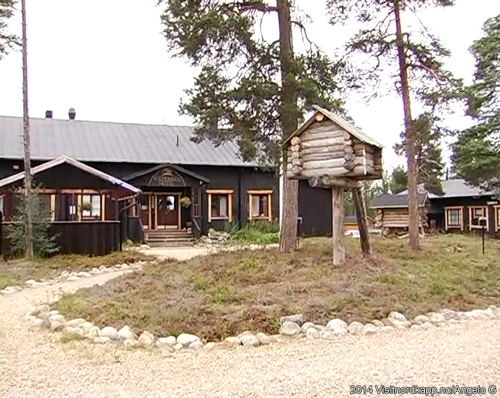 In short, The Skolt Saami people go to the Orthodox Church. I had never been to Nellim before, this was my first visit. We stopped by the Nellim Wilderness Hotel to do some intelligence. At the hotel we met a woman of the staff that we had no common tongue with. She talked Finnish and we talked bad English. Quickly, however, she understood our mission. She rang the church. We had made an agreement with the church that they would endow the spirits of the church upon us. However, because of some misunderstanding, it wasn’t meant to be on this particular day. Our day was meant to be profane. I went out the entrance and lit a cigarette. The chef at the hotel was also having a puff. Very often the best small talk starts when you are nipping to a cocktail, having a beer, chewing something or smoking a cigarette. 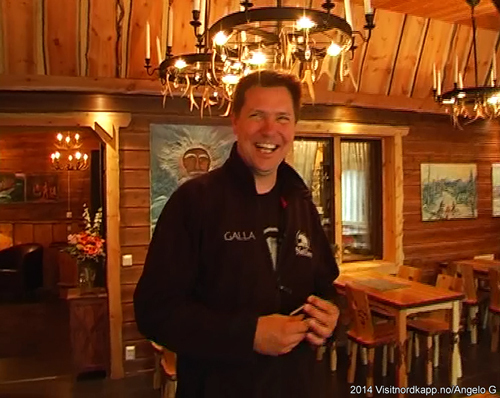 Mr. Kimmo Palokangas offered us a little tour of the hotel instead of the church. So, we did. Today, kids travel by bus or other methods to school every day. In a not so distant past, kids of school age had to leave their families for longer periods of time. The hotel was originally a mandatory boarding school for all kids in the Nellim area. For many kids this was not a walk on roses. In particular, Saami kids had a rough time. The Saami culture was suppressed all over the Arctic, and the kids were not allowed to talk their mother tongue. The hotel is renovated with a distinct purpose. It was very noticeable that all the rooms were clad with brown wood paneling. As we walked through the hotel the tranquility of the building was indeed radiating. And we have now TVs in the rooms, Kimmo said. What we are offering is a peaceful hotel in a quiet place. In the middle of the yard, there was an old storehouse. It was of the kind that is put up on top of one wooden pillar. People used to build them like this to keep wild animals such as foxes and bears away from the food. There are bears in the area, not only on the hotel logo. I asked Kimmo if they serve bear meat. No, he said, but if people ask for it, we might be able to accommodate the request. 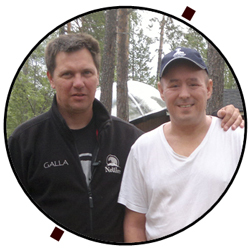 Kimmo is an avid angler and local fish is something he is more likely to serve his guests in Nellim. The newest structures the hotel has assembled are the Aurora bubbles. 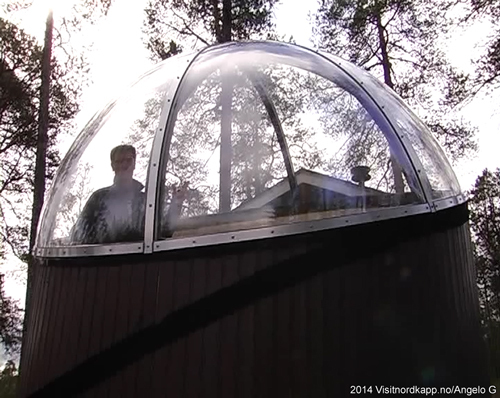 Small all-ecological units with a double bed and a glass dome. In these bubbles it is possible to look at the stars and the Northern Lights in bed. It is, moreover, the expensive alternative. Nevertheless, it is a favorite among certain Asian couples. The husbands are happy to pay for the extra champagne and Aurora opportunity. The smirking husbands say; Honey, we can stay in the bubble tonight. In some cultures, seeing Aurora in the right moment is baby luck.